So while I may know loads about how to buy property at auction – buying property before auction is something which has alluded me…until now! And it’s great timing too – as this latest property purchase is part of my experiment: Is there any such thing as an “easy” buy to let? This is not a fix – and could easily end in tears of sorrow or tears of joy! Regardless, I will share the real ups and downs with you along the way. It was last week and I had gone through the auction catalogues and selected a number of properties with potential. I had a wide variety of choice, but having been inspired by the “easy” buy to let idea, and a new list of criteria, I had just one property left. 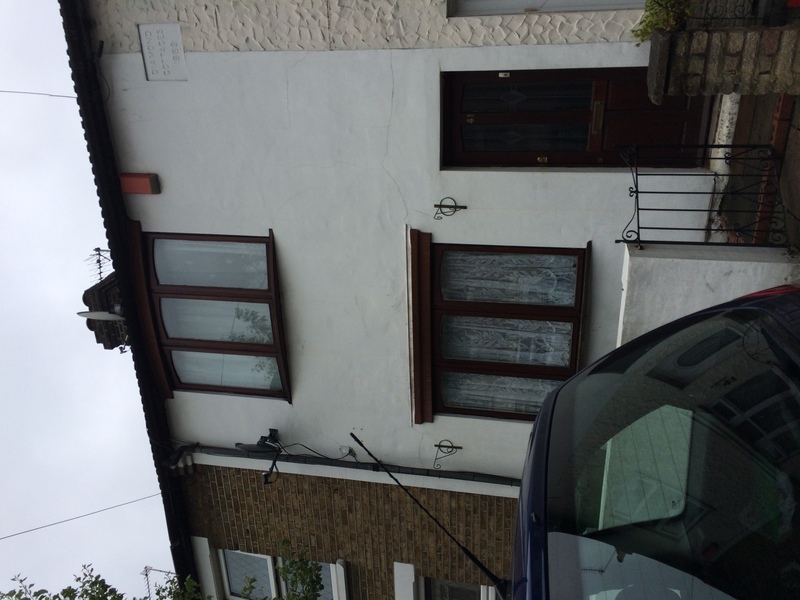 A 3/4 bedroom house located in Waltham Cross. The guide was £200k. Now, I know it’s not the prettiest house on the street – but I LOVED the location. It’s a 3 minute walk to the train station with a journey time to London of 26 minutes and, it’s on the doorstep of town and plenty of amenities. Added to that it’s less than one hour from where I live. The auction was scheduled for 11 June. I viewed the property on the afternoon of 27th May. Within moments of stepping through the door, I knew THIS was the property that I should buy. On every count, the property ticked my new criteria for how I wanted to buy investment properties. (I’m thinking my investment criteria may have changed from previous years, but that’s a whole other post!). I had researched the market prior to viewing and estimated the property was worth in the region of £240-250k in it’s current condition with a rental of around £1300-1400. When buying property at auction I prefer to buy with a discount as I believe money is worth more today than it is tomorrow. However, I knew the area was popular and given the size of the property, I would not have much choice in this location at this price. These factors had an important influence on the price I was willing to pay. Most importantly, however, I wanted to own this property. 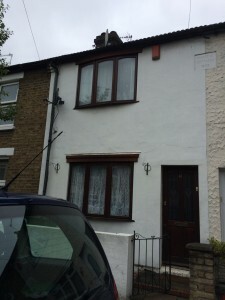 I believed the property had unrealised potential and the area could improve in years to come. But I was not buying this property at any price. The next day, having viewed the property, I checked my comparables again. Now that I had a better sense for the size and condition of the property I was able to more accurately assess what I should pay. Many of the three bedroom comparables had a third bedroom accessed via the second – and given the one I viewed had three “proper” bedrooms, I valued it higher. Looking at the market, I estimated the property in a refurbished condition could be worth as much as £300k, but in it’s present condition I thought it would struggle to fetch much more than £250k on the open market. But auction is not the open market. And right now the market is *hot*. Open or not. To be honest, the current competitive market, is probably not the ideal time to buy – but I decided to do my sums and calculate how this deal may work for me. It is at this point when calculating a deal, that it’s important to consider not only how the numbers stack up, but also how an investment fits with your personal life. The personal side of property and how the investment fits with your life, is an often overlooked factor by many investors – but to me, this is paramount. Different properties have different demands and different financial rewards and it’s imperative you also analyse these when looking at the whole deal. For me, I was looking for an “easy” buy to let, I don’t want the hassle and effort involved in managing a HMO (although I want the property to have the potential should I change my mind). But, right now, I want a property which will appeal to tenants for a long term let – hopefully one they will make their home for many years to come. So, that’s what I mean when I say you should think about how a property investment fits with you and your life personally. I think it’s really important to consider how much time and effort you want to spend managing the property both now and in the future. And remember – your life doesn’t always stay the same – and so you need to factor that in as well! I was looking for an “easy” buy to let (if there is such a thing), and given I knew I wanted to own the property for a long term investment, it meant that any costs associated with this property would be spread over a longer period of time. Had I have been buying to refurbish and sell on, different sums and different rules would have applied. This difference in strategy between buy to let and buy to sell is very important to consider when you are calculating the bid price for a property, as short term investments require a different mathematical model to long term investments. With a guide of £200k and estimating the open market value at £250k and, given this was an auction purchase I obviously wanted to pay a bit less. However, the market is hot, I want to own the property – and I can make the numbers stack – especially in the long term. My initial thoughts on the property were around the £230k mark. But, I thought to myself – how likely is it the vendor will sell before auction at that price? Not very likely I conceded. Maybe £240k I thought – that’s 20% above guide. It’s not much of a saving (discount) against open market value – but maybe it would be enough. So I called the auction house to discuss the offer. (Just to put you in the frame timewise, this is now the next day – i.e. 24 hours after viewing the property). There was a lot of umming and arrhing, and backwards and forwards calls – the vendor (a private seller who needs to move quickly) fancied their chances in the auction room to get more money. Me, planning this out, worked out not many investors would be likely to bid over the £250k stamp threshold. However, the property would likely appeal to an owner occupier – who are a different kettle of fish – and who would very likely bid more, as it would be a home to live in rather than just a property to invest in. In an unusual twist, and before any final decision was made, I turned round and upped my offer to £250k. I wanted the property and I was prepared to pay market value for it. I was also keen to secure the property below the £250k stamp duty threshold. Anything over £250k (even just £1!) attracts a 3% tax on the whole purchase price as opposed to a 1% tax – and that’s a minimum of £7.5k straight to the government coffers. My thinking behind upping the offer to the £250k stamp duty threshold was that I bet the vendor would also believe that £250k would be the natural cut off point in the auction room. By offering the £250k perceived cut-off price now, I hoped I had offered enough to secure the sale. The vendor pondered and wondered if they could get more for the property in the auction room. My offer for the property was fair and market value – but it wasn’t any more – and maybe, just maybe, in a market as *hot* as this – you could achieve a bit more. Maybe. This was a fact I also knew – which was why I was trying to buy the property before auction. The stamp duty threshold was my cut off and £250k was my last price now and in the room; waiting another two weeks until auction would not change my mind. I was not going to stump up the extra in stamp duty. 36 hours later and the offer finally got accepted. I paid the 10% deposit and contracts were exchanged. Do I wonder if I paid the right price for this property before auction? Do I think maybe if I had waited until the auction day I could have bought it for less? But then maybe, it would have gone for more and then I wouldn’t have bid and I wouldn’t now own the property. Personally, I think the moral of this story is that you don’t always bag a bargain at auction – but what you do get is security and certainty of purchase. If I had been buying this property with an estate agent there would have been a lot of to-ing and fro-ing even after my offer got accepted. At any point the vendor could have changed their mind, I could have got gazumped and the sale could have fallen through (as has happened to me before). Buying this property before auction means auction conditions still prevail – I have now exchanged and in 28 days I will complete on the property – and I am extremely happy about it! You’ll never know what price it would have gone for at auction but that’s not important if you can make it work at the price you paid for it. I like your buying strategy and would like to adopt something similar but at my infancy stage in my property journey, I’m looking at refurb projects much further afield. I’m going to auction next week hoping to get the worst house on a good street. It needs a hell of a lot of work and is guided at half the price of comparables. I went to auction on Wednesday and OMG, I only went and won that house! The house is a large 4 bed Victorian that was previously split into 2 flats. The original guide price was £40k-£50k but then 5 days before auction it jumped right up to £75k! Then the day before auction it went up to £85k! After some frantic bidding by others, I managed to bag it right at the death for my maximum bid which was £100k. It probably needs about a £30k spend to bring it up to date as it’s in pretty bad nick but I’m not too concerned as 3 bed houses on that street have recently sold for between £170k – £180k. OMG!!!!!!!!!! MASSIVE FACEBOOK LIKE THUMBS UP!!!!!!!!!!!!!!!!!!!!! Thanks for your comments Rich. I will keep you updated on if there is such a thing as an “easy” BTL!! We complete in a few weeks.